I must admit I haven’t listened to a Clean album since 1981’s Boodle Boodle Boodle... their latest offering Mashed-Live is a collection of songs recorded at Wellington’s SFBH, Dunedin’s Regent Theatre and Harbour Lights in Lyttleton. Hamish & David Kilgour and Robert Scott offer a dreamy, languid journey perfect for a Sunday afternoon filled with their signature jangling guitars and great melodies. The Clean have always been about great dreamy guitar pop and this album is no different, Lou Reedish, droning guitars building to crescendos and then falling again with David’s lazy, cool lyrical style take me back to the days of the Dunedin Sound and it’s great to reminisce and hear this style of music again. My favourite track is Fish, an instrumental, slightly 80’s Gothic with perfect guitars...I feel like I’m sitting in my flat in Nelson in the early 90’s. 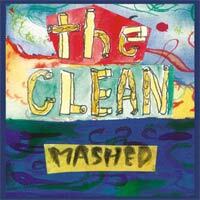 If you love Lou Reed and Bob Dylan or of course if you are a long-time Clean fan you will love Mashed.